As one massive convention fades into memory, another one is quickly gathering steam. We are exactly 23 days away from Day 1 of Disney’s D23 Expo and thus this site will begin 23 days of coverage of the penultimate Disney fan event that is set to take over the Anaheim Convention Center beginning August 14. We’ll begin our preview of D23 by taking a look at the Pixar Animation presentation slate. Inside Out is currently the shining gem of Pixar Studios with a growing box office that would even make Sadness attempt to crack a smile. On the morning of Day 1 (Friday at 11:30), director Pete Docter and producer Jonas Rivera will offer fans a behind the scenes look at the summer hit in Stage 28. The duo will reminisce and share their personal stories of creating the blockbuster movie and, I’m sure there will be a cameo by the emotions at some point during the presentation. After spending the morning with the emotions, Pixar will showcase what they have coming up next in a 3 p.m. panel inside Hall D23. Filmmakers will unveil never-before-seen footage from Pixar’s upcoming The Good Dinosaur and Finding Dory and Disney Animation’s Zootopia and Moana. The event will include surprise announcements, musical performances, and appearances by the films’ star voice talent. For those thinking of attending that panel, cell phones, cameras and all recording devices will be checked for this presentation, but you’ll likely see this new trailer for The Good Dinosaur at the panel. Saturday afternoon brings us a look behind the scenes of Pixar as creators talk about how various movies came to fruition. That panel will take place in Stage 28 at 3 p.m. 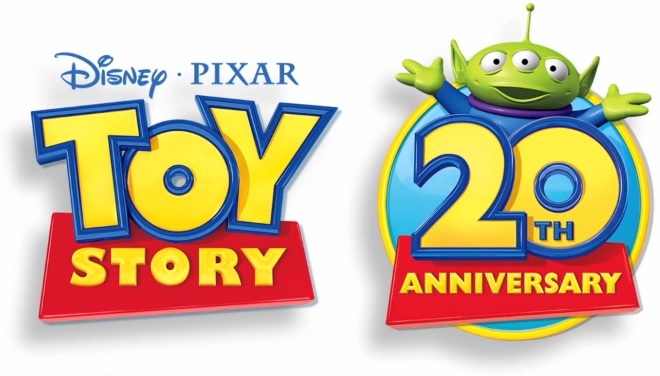 The Pixar highlight for Saturday though will be the Toy Story 20th Anniversary panel which will take place in Stage 23 at 4:30 p.m. Members of the original crew, including filmmakers John Lasseter, Pete Docter, Andrew Stanton, Lee Unkrich, Galyn Susman, Ralph Eggleston, Sharon Calahan, Eben Ostby, Bob Pauley and Bill Reeves as they share their stories and the challenges they faced in creating the first computer-generated feature film. If you can’t make it in to any of those panels, don’t worry, there will be plenty of Pixar on the showroom floor. For the first time ever, Pixar Animation Studios is creating a show-floor experience at D23 EXPO. Pixar teams up with Walt Disney Animation Studios to showcase the magic from both animation studios, featuring live demonstrations, presentations and autograph signings with top filmmakers, free giveaways and interactive displays. The showcase will also feature highlights from films like Inside Out, The Good Dinosaur, Zootopia, Finding Dory and Moana, animation fans will get the inside scoop on their favorite films and characters. Stay tuned for more D23 Expo previews leading up to the big event and follow along on Instagram for promos and pics from the event! Tags: animation, d23, d23 expo, d23 expo 2015, Disney, Disney movies, family, family movies, finding dory, inside out, movies, Pixar, Pixar movies, the good dinosaurs, Toy Story, zootopia. Bookmark the permalink.